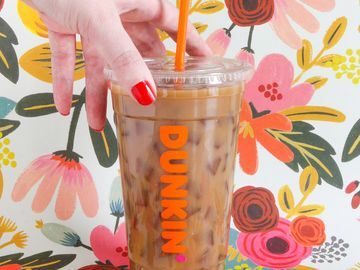 Dunkin’ Brands has had a wonderful start to 2014 and I’m thrilled to announce an exciting opportunity for both Dunkin’ Donuts and Baskin-Robbins. 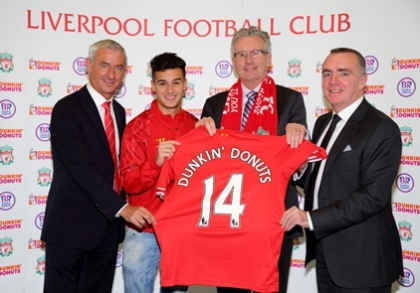 Dunkin’ Brands today announced a multi-year marketing partnership with Liverpool Football Club (FC), one of the world's most historic and famous football clubs, to support global expansion of the Dunkin’ Donuts and Baskin-Robbins brands. 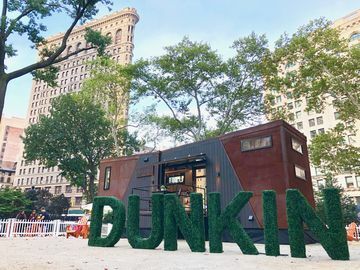 With football being the most popular sport around the world, and with its growing popularity in many key markets for Dunkin’ Donuts and Baskin-Robbins, such as the U.S., we see this as an opportunity to continue growing all three of the brands together in the years ahead. 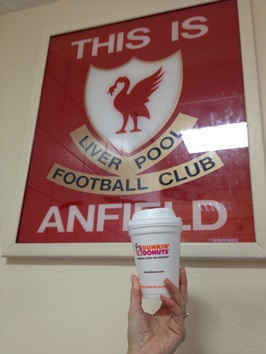 With this partnership, Dunkin’ Donuts will become the official coffee, tea and bakery partner for Liverpool FC, and Baskin-Robbins will become the official ice cream partner. 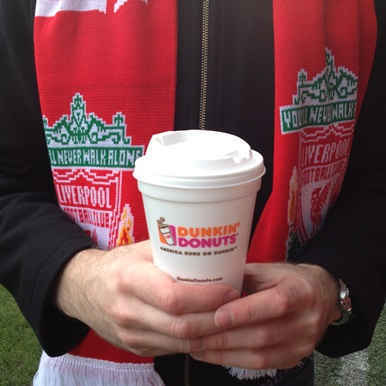 It will also help both Dunkin’ Brands and Liverpool FC further engage with our loyal and passionate fans around the world through joint promotions, digital and print advertising and appearances during pre-season tours. As a dual American and British citizen born and raised in Woodford, Essex, I am a life-long football fan and have a personal love of the sport, so I am especially pleased about working with this team. Liverpool FC is truly one of the most renowned football clubs with 18 English league titles and 5 European cups. 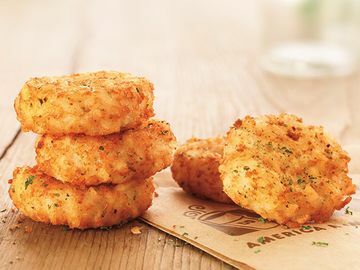 To kick-off this partnership, I traveled across the pond to Liverpool where I visited and toured Anfield Stadium with former Liverpool FC player Ian Rush. 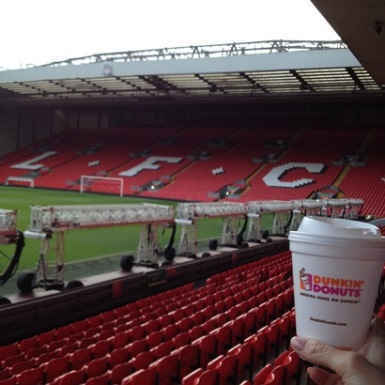 At the stadium, I had the chance to get a behind-the-scenes look at the dugout and pitch, locker rooms and the Kop, one of Anfield’s famous stands. After my visit to Anfield, I headed to Melwood Training Ground to meet some of the Liverpool FC players and watch the team prepare for their upcoming match against Aston Villa. It was wonderful trip to Liverpool and I’m excited about our partnership. We look forward to working with Liverpool FC on a variety of fun and engaging promotions for our fans in the months and years ahead.